ePerform ance, SMU’s new online performance management system, located in my.SMU, is now available! ePerformance supports ongoing collaboration in goal setting, communication, and feedback between managers and employees. Stop by Fondren Computer lab and ask questions about the process and the system. IT and HR will be available to walk you through the process and answer your questions. Please let us know you plan to attend by enrolling in the desired session via my.SMU>Self Service>Learning and Development>Request Training Enrollment. to ensure there is a computer available for you. Search for course name “ePerf Comp Lab”. Additional sessions will be scheduled as needed. 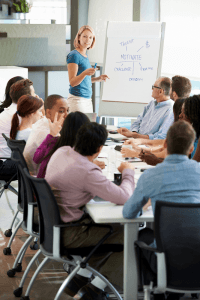 HR staff are also available to come to your team meeting or retreat to provide an overview of the process and best practices for goal setting, feedback, and utilizing the system. Email DevelopU@smu.edu for more information or to schedule a time. HR recently announced enhancements to the performance management process including the launch of SMU ePerformance, an electronic performance management system. The changes will support managers and team members in sharing feedback and progress on performance goals throughout the year. Performance Documents have been created within my.SMU and are available for you to access. Employees have already been notified via an HR Headlines email and should be starting to enter goals in their personal Performance Document. Managers may access these Performance Documents for their direct reports by navigating to my.SMU>Manager Self Service>Performance Documents>Current Documents. From this location, a list of all employees reporting to the Manager is viewable. Click on the appropriate person to access their individual Performance Document. Please notify HR at smuhr@smu.edu should you have questions about your list of direct reports. Earlier this year, Managers were notified of a revised Annual Performance Review schedule (email dated 2-14-17 from smuhr@smu.edu). The Annual Review time-frame will move from the Spring to the Fall, in order to coincide with the annual budget period . Performance Reviews were not mandatory during Spring 2016 due to the revised timeline. Performance Reviews completed in the my.SMU system will be required in the Fall 2017. The current performance year started on September 15, 2016 and will end on September 14, 2017. Annual reviews are to be completed within the system no later than December 15, 2017. Merit allocations provided to HR in Spring 2016 went into effect as of June 1, 2017. Fall performance review information will inform merit allocations for a June 1, 2018 implementation. Additional information will be shared regarding this in the Fall. understand behaviors (competencies) which will lead to success. In addition to the above, another benefit of regular goal tracking within ePerformance is that the Annual Review will require less time and energy as documentation will already be entered, requiring only the completion of the evaluation step and the in-person conversation. If you have been using the interactive Word document (The Year Ahead form) the employee and the manager may simply copy and paste the information into the system and then continue to document progress within the online system. There are several resources to support you as you learn the new system. In addition, you may schedule a session for your team where an HR representative will come review the process within my.SMU and best practices for goal setting. Email us at DevelopU@smu.edu. Note: resource documents are located in SMU Box. You will need to login with your SMU credentials to access these documents. Video tutorials are located on YouTube. Visit the Performance Management and the Performance Review webpages under Manager Resources on the SMU HR website for more information. Questions? Email us at smuhr@smu.edu or call 8-3311 and your call will be redirected to the appropriate person. According to the Gallup Organization’s latest report the numbers for employee engagement have barely moved since they started tracking engagement numbers in 2000. Engagement is defined as being involved in, enthusiastic about and committed to the employee’s work and workplace. Gallup goes further to suggest the world is in a state of crisis with employee engagement and that in the United States, employee engagement is only at 32%! Employees need to know that the work they do is important and that it is appreciated by those around them. Do you recognize these behaviors with your team or want to prevent them from getting there? 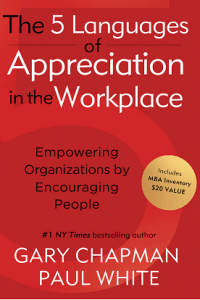 Contact HR about bringing the 5 Languages of Appreciation training to your team! You will learn the 5 languages, how to deliver authentic appreciation, and ways to ensure that appreciation, when shared, hits the mark as intended, instead of falling short. Email us at DevelopU@smu.edu or call Mary Stall directly at 8-2194. It’s Performance Review Time – Who Should Receive a Review?